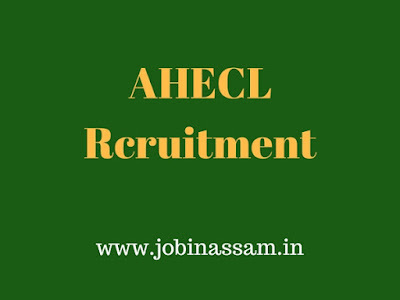 Graduate in commerce candidates can apply for AHECL Job in Assam 2017. This vacancy is advertised by AHECL for various posts under Govt. of Assam for eligible and interested candidates. If you are interested in AHECL Job then apply on or before 05.10.2017. Please read this article till the end to know details eligibility criteria, application process and selection process for the AHCEL job. Applications are invited for engagement of the following position on contractual basis initially for a period of one to two years in the form prescribed on the website. Candidates should be Post Graduate in Commerce with good academic record. Candidates should have at least 05 (Five) years experience in handling Accounts in Tally, the filing of Returns and works related to Income Tax, GST, Professional Tax, etc. Age: Candidate should not be more than 40 years as on 01.01.2018. Fill the form with appropriate details. Each year millions of applicants aspire for competitive based government jobs, where often the most innocuous of general knowledge information could prove to be the cutting edge between success and failure at cracking the examination.